With over four hundred years of history, Richmond abounds with ghostly tales and ghastly deeds from the past. Step into the shadows and take a tour of thirteen of Richmond s most haunted sites. Visit Church Hill, home of the famous St. John s Church, and discover the events that led to the tragic tunnel collapse of 1925. Discover the long-forgotten Civil War hospitals of Shockoe Bottom, where hundreds of wounded soldiers met their end. Feel the icy chill at the bottom of a staircase where a young apprentice was murdered in cold blood by his jealous master in 1826. 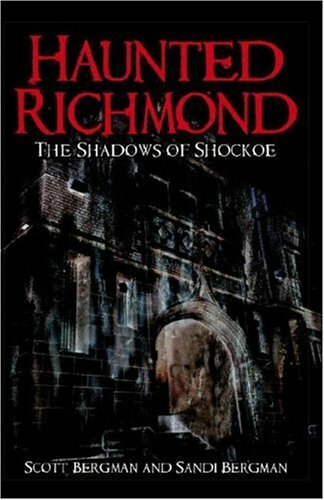 These stories and more await as you discover the mysterious, tragic and terrifying events of Richmond s dark past." Scott and Sandi Bergman own and operate the Haunted Richmond Ghost Tour & Haunted attraction, which combines walking ghost tours and a haunted theatre. Both Scott and Sandi are members of the Virginia Historical Society and the International Association of Haunted Attractions and have a close working relationship with the Poe Museum. In the past, Scott and Sandi worked together to adapt several of Poe s stories for a presentation in the Haunts of Richmond attraction and the Poe Museum.